Patients and caregivers tell us that transitioning to home after a hospital stay can be challenging. Join this webinar to learn about a draft quality standard outlining what quality care look like to make the transition easier. Please join us for a Health Links webinar being presented by Health Quality Ontario, Health Shared Services Ontario and the Local Health Integration Networks. January 30, 2019, 12:10 p.m.
Thursday, January 24, 2019, 12 p.m. – 1 p.m.
Tuesday, January 22, 2019 12:00 p.m. – 1:00 p.m. The Patient Registry is a mechanism to identify patients receiving the Health Links approach to care for measuring and monitoring purposes. Through this identification, data for this patient population can be pulled for the purpose of quality improvement and third-party evaluation. The webinar will address the required data elements and process for submission to help meet the Health Link funding terms and conditions. Thursday, December 6, 2018, 12:00 p.m. – 1:00 p.m. This year’s Leadership Summit will focus on expanding the coordinated approach to care to reach broader populations of patients with complex needs, including those with mental health and addictions conditions. November 2, 2018 8:00 a.m. - 4:30 p.m.
Ontario Surgical Quality Conference 2018 A professional forum to connect and learn with colleagues who share a commitment to surgical quality. Discover how collaborative teamwork, data and quality improvement can drive change. October 29, 2018 12:10 p.m. – 1:00 p.m.
October 16, 2018 8:00 a.m. – 4:45 p.m.
October 17, 2018 7:00 a.m. - 5:00 p.m.
September 27, 2018 12:10 p.m. – 1:00 p.m.
September 20, 2018 12:00 p.m. – 1:00 p.m.
July 26, 2018 12:00 p.m. – 1:15 p.m.
May 3 & 4, 2018 7:30 a.m. – 5:00 p.m.
April 26, 2018 12:00 p.m. – 1:00 p.m.
April 18, 2018 12:00 p.m. – 1:00 p.m.
March 27, 2018 2:00 p.m. – 3:00 p.m.
March 22, 2018 12:00 p.m. – 1:00 p.m.
Wednesday, February 21, 2018 12:00 p.m. – 1:00 p.m.
How are we Engaging Patients, Caregivers, and Families in the Health Link Approach to Care? 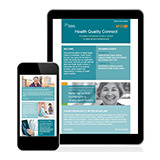 Understand how patients are being engaged and highlight collaboration activities for the Health Links approach to care. 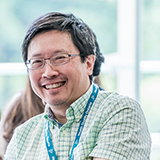 Wednesday, January 24, 2018 12:00 p.m. – 1:00 p.m.
Health Links Community of Practice Webinar: Health Equity - Supporting People Living with Multiple Chronic and Complex Conditions to Reach their Full Health Potential Learn how to enhance the patient experience for people with multiple chronic conditions and/or complex needs through a health equity lens. Thursday, January 18, 2018 12:00 p.m. – 1:00 p.m.
Friday, December 8, 2017 12:00 p.m. – 1:00 p.m.
Wednesday, November 22, 2017 12:00 p.m. – 1:00 p.m.
Introduce Quourm, Ontario's new online health care quality improvement community. Hear about the benefits of being involved in a Community of Practice and the value add it brings to your Health Links and every day work. Friday, November 10, 2017 8:00 a.m. – 4:30 p.m.
A professional forum to connect and learn with colleagues who share a commitment to surgical quality. Discover how collaborative teamwork, data and quality improvement can drive change. Tuesday, October 24, 2017 9:00 a.m. – 5:00 p.m.
Quality Improvement and Patient Safety Forum 2017 A professional forum for members of the quality improvement and patient safety community to share, learn, and network. Wednesday, October 18, 2017 12:00 p.m. – 1:00 p.m.
Wednesday, September 6, 2017 12:00 p.m. – 1:00 p.m.
Thursday, August 3, 2017 11:00 a.m. – 12:00 p.m.
Wednesday, June 21, 2017 12:00 p.m. – 1:00 p.m.
Thursday, June 15, 2017 12:00 p.m. – 1:00 p.m. Developing a Health System Equity Approach: Opportunities in Northern Ontario Learn about health and health care equity in the Northern Ontario context, and the impacts of inequity on patients, providers and the system. Wednesday, May 24, 2017 12:00 p.m. – 1:00 p.m. Creating Integrated Addiction Services in Hospitals and Primary Care Dr. Meldon Kahan, will discuss how the Mentoring, Education and Clinical Tools for Addiction: Primary Care-Hospital Integration project (META:PHI) has progressed since ARTIC funding helped it spread from 3 to 10 sites. Wednesday Apr 26, 2017 12:00 p.m. – 1:00 p.m.
Thursday, April 20, 2017 12:00 p.m. – 1:00 p.m.
Primary Care: Moving Forward Together and Connecting the Dots on Quality in Ontario Dr. David Kaplan leads a panel discussion focusing on quality improvements in transitions to care and 7-day follow-up. Wednesday, March 22, 2017 12:00 p.m. – 1:00 p.m.
Voices from the Field: IDEAS Teams share their experience in implementing Transitions Between Hospital and Home Innovative Practices Hear how IDEAS teams identified, planned and implemented transitions between hospital and home in their Health Link using innovative practices. Thursday, March 23, 2017 12:00 p.m. – 1:00 p.m.
Health Quality Ontario’s Patient Engagement Framework: Creating a strong culture of patient engagement to support high quality health care Learn about Ontario’s new framework for patient engagement and how the voices, perspectives and experiences of patients and their informal caregivers can improve health care quality. Wednesday, February 22, 2017 12:00 p.m. – 1:00 p.m.
Wednesday January 25, 2017 12:00 p.m. – 1:00 p.m.
Ontario Surgical Quality Conference 2016 A professional forum to connect and learn with colleagues who share a commitment to surgical quality. Discover how collaborative teamwork, data and quality improvement can drive change. 2016 Health Links Leadership Summit An invitational conference hosted by Health Quality Ontario bringing leaders in Health Links together to share ideas on how to implement the Advanced Health Links Model for patients with multiple conditions and complex needs. Resiliency and High Reliability Organizations Find out what Dr. Michael Apkon, President and CEO, Hospital for Sick Children (SickKids) has to say about Quality Improvement in Ontario. Coordinated Care Management Innovative Practices “Patient Care Coordination Utilizing a Primary Care Approach” Learn about Innovative Practices in Coordinated Care Management. Transitions Discharge Bundle and Health Literacy Learn about evidence based practices that can be applied to Transitions in Care including teach back methods. Health Models That Work: Addressing Inequities and Disparities in Indigenous Health Learn how to accelerate improvement using models that are working to address inequities and disparities for Indigenous populations in Ontario. Friday, March 22, 2016 12:00 p.m.- 1:00 p.m.
Friday, January 29, 2016 12:00 p.m. - 1:00 p.m. Learn how data warehouses are supporting quality improvement in Ottawa. On November 6, 2015 Health Quality Ontario hosted the first Surgical Quality Improvement Conference, an opportunity for surgical teams from across Ontario to come together, share ideas and learn from others who are working towards improved surgical outcomes for Ontarians. As Canada’s largest annual conference on health care quality, the day was our biggest yet featuring over 25 unique breakout sessions, six Lunch and Learn workshops as well as partner exhibitors, and posters from research happening across the province. Hosted at Providence Care, this session will explore QCIPA and the approach taken by the QCIPA Review Committee to developing recommendations for how the Act could be improved. Hosted at Mount Sinai Hospital, this session discussed the latest research and recent developments in patient safety, and their implications for quality improvement in Ontario. Hosted at the Thunder Bay Regional Health Sciences Centre, this session discussed the principles of equity, why it is an important dimension of quality, and what we know about it related to health care. Hosted at North York General Hospital, this session addressed the progress of quality improvement in Ontario since the 2004 publication of Ross Baker and Peter Norton’s seminal report on patient safety and health care errors in Canada. 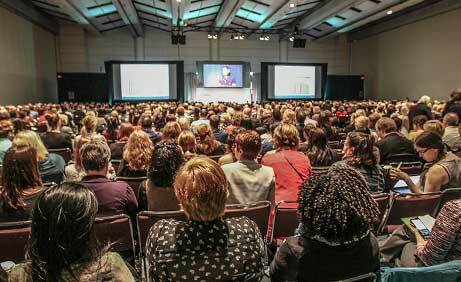 On November 20th, Health Quality Ontario hosted Health Quality Transformation 2014. On March 4, 2014, Health Quality Ontario and Women’s College Hospital hosted Failure: Facing it, Embracing it, Learning from it. On November 21, Health Quality Ontario hosted Health Quality Transformation 2013.